Hotel Management is considered as one of the most glamorous careers. Hotel Management has always been a hot career option where students can get job in global markets. The most beautiful part in this course is that, professionals keep their cool even in the most challenging situation. In India there are many colleges in public and private sector where one can pursue their bachelor and master degree. Government has also encouraged this sector in past few years providing employment opportunities. This list is provided on the basis of academic activity, industrial visit, and the placement opportunity by the best recruiters in the world. IHM, Chennai is a government authorized hotel management college. It was established in 1963. It is funded by Ministry of tourism for almost 50 years. This institute has shown a considerable growth at all level from academics to placement to its students in different companies. IHM, Chennai was awarded with National Awards for Excellence in the year 2012-13. Pass in higher secondary school with English as a subject. Students get satisfactory placement here and the opportunity to go abroad for advanced training in catering technology and hotel management. IHM, Pusa, New Delhi is one of the finest institute in India which was established in 1962. They believe in a vision to impart knowledge and improve the standard of hospitality education. IHM Pusa, has a tie-up with many foreign universities viz Ecole Hotelier Lusanne, Switzerland. In their three year program students go for industrial training to get practical knowledge about how various departments work. IHM, Mumbai was established in 1954 by prominent educationalist and industry experts. When we talk about hotel management institutes, IHM Mumbai ranks in one of the top 10 institute of Hotel Management in India. This institute is committed to maintain high standards in providing quality education. 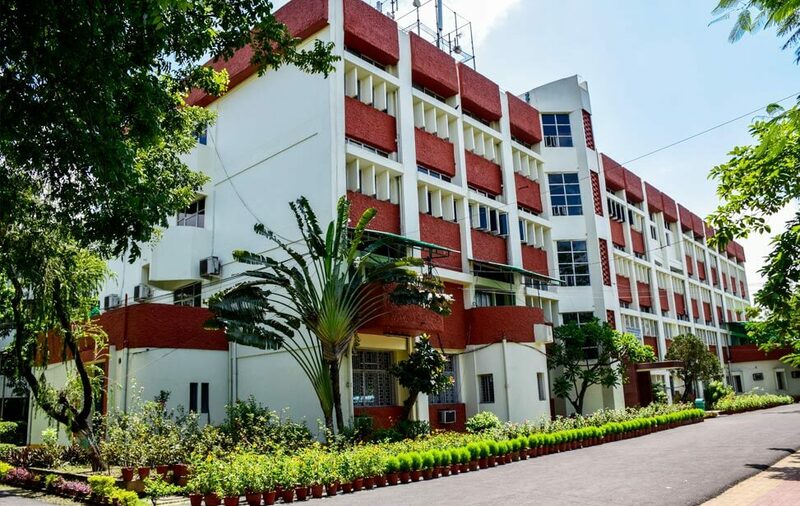 Hostel facility is also available for both boys and girls in the campus, whereas a new international hostel is also being developed within the campus. WGSHA is one of the top Hotel Management Institutes of India. It is also the first college to offer the bachelor degree in Hotel Management. This hotel management institute is recognized by the International Hotel Association, Paris. It has been ranked 97th in BRICS countries. Pass in 10+2, A Level, IB, American 12th grade or equal. This 19 year old hotel management institute is one of the largest hotel schools in India whose campuses are spread in almost every corner of country. IIHM is AICTE approved institute and has collaboration with foreign universities like university of West London, London and Edinburgh Napier University, UK. Recently IIHM, Kolkata was named as India’s Best Education Brand 2017 by Economic Times. Pass in class 12th OR its equivalent with English as one of the subject. Dr. Ambedkar institute of hotel management was established in year 1990 with a progressive vision of creating specialized professionals in the core sector that can contribute in the economic growth of the country. This hotel management institute believes in providing training environment to their students to bring out various aspect of their personality traits. Army institute of hotel management is one of the finest institutes in India with a great academic record. Therefore, those who wish to pursue bachelor and management courses in hotel management are at the right place. BCIHMCT is an AICTE approved Hotel Management Institute established in 1999 under the aegis of Shri Banarsidas Chandiwala Sewa Smarak Trust Society. It is one of the finest hotel management colleges in Delhi. It provides lots of facility support and great exposure to hotel management industries. One would be very happy to gain the required experience here. Pass in 12th class of CBSE OR equivalent with 50% marks in aggregate plus English as a subject. IHM Dehradun is one the recognized institute of Hotel Management in India. It aims to develop the institute as a center of excellence in hospitality education. Recently IHM Dehradun has acquired the position as the first hotel management institute in India to be ISO and HACCP certified. Student must have passed HSC OR equivalent with 50% marks. IHM Ahmedabad has well trained faculty that guides students to an international stage of hospitality and management. The institute also has tie-ups with foreign universities that make its students familiar with the globalized world in terms of education and culture. Minimum qualification for admission should be passing in 10+2 with English as one of the compulsory subject. Hotel management is a cardinal part of the hospitality industry. And the above-mentioned colleges are the best in Hotel Management Industry to guide you to best companies. This profession adds money, attitude and growth in one’s personality. You travel almost every corner of the world in this profession. Even Indian Navy requires hospitality services which fulfill dreams for those who want to serve one of the defense forces in India. At present, there are about 200 million jobs available in this industry, out of which 20% are in India. From land to sea and sea to air you can work anywhere with good salary in your pocket.